There is a nice stretch of farmland between my in-laws neighborhood and the highway just outside Davenport that will soon be gone. It is the type of farmland that you picture when people talk about Iowa. Like one of the scenes from a holiday movie, it was a beautiful snow covered vista yesterday morning. Soon the government funded sewer project will commence leaving this lands’ future uncertain. The trouble with this lovely stretch of farmland is that we, as in the collective wisdom of our society as prescribed within our zoning laws, have declared the agrarian character of this land obsolete and in waiting. It has been reduced to “developable acres”. The irony is that there is certainly many more acres of infill parcels and parking lots sprinkled throughout Davenport that could add up ten fold what this farmland would throw off in taxes as a Walmart Super Center. Why are we not investing in projects that support long term stability in our communities? 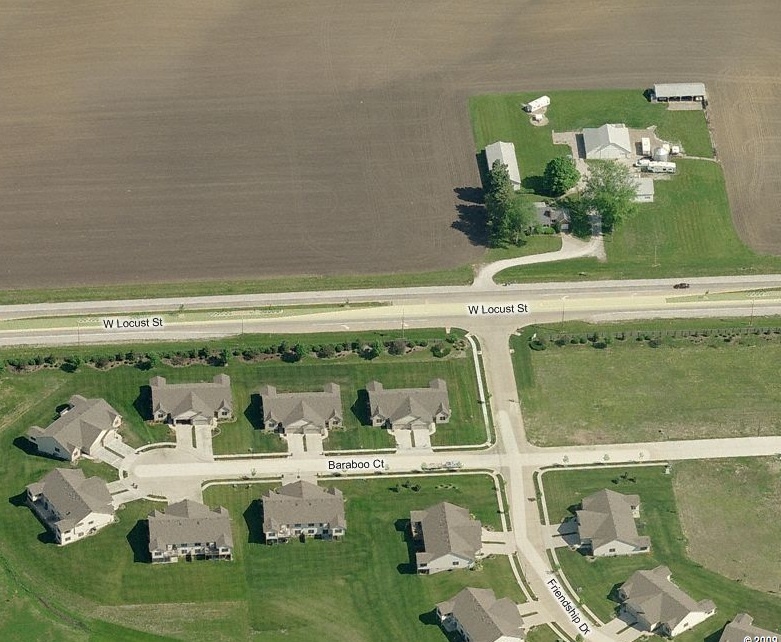 Davenport received $2,000,000 for the West Side Diversion Tunnel Project that will inevitably lead to the demise of this farmland and the new development of 20 square miles of property. But, at what additional cost? Certainly, the rural character found in this area of Davenport will be lost forever. Once the tunnel is completed the burden of this infrastructure’s upkeep will fall fully upon the city. This cost will most likely be far above estimates leading to higher taxes or unstable infrastructure. Neither being good for citizens. At first look, the blame for this environmental catastrophe could be pointed at the shovel ready requirements of government funding. This is not the case. The sprawling outcomes of the ARRA and other public programs is only the result of a much larger systemic problem. Davenport as well as hundreds, if not thousands, of communities across the county need to grow a pair and pass legislation that is based on long term, common sense thinking. Where does a community grow its food? Can its citizens get around town inexpensively? Can the government afford to operate its infrastructure in its current form for long? Getting smart about Davenport’s zoning laws, growth boundaries and farmland preservation should not be a seen as a problem, but as an opportunity for future stability. With some smart zoning language attached to an aggressive city wide masterplan focused on sound economic growth the beautiful farmland that still surrounds the city will be saved. Couple this with some technical training for local builders on the practices of urban construction and Davenport could catapult itself into a citywide renaissance that, by the way, costs less to maintain, uses less energy, attracts young people and provides better community for all rather than the Super Centers and strip housing that will take the place of such iconic farmland. This entry was posted in Food & Drink, Urbanism and tagged Davenport, Farmland, Infrastructure, Sprawl on December 28, 2009 by Russell. This entry was posted in Food & Drink, Urbanism and tagged CNU, Critique, Food Production, James Howard Kunstler on July 10, 2009 by Russell.